Mix together mashed potatoes (Idaho or any starchy potato), coconut, powdered sugar and almond extract. Roll mixture into balls the size of a quarter. Freeze the coconut balls for about 1 hour for added firmness. Melt Baker’s Dipping Chocolate according to instructions.) 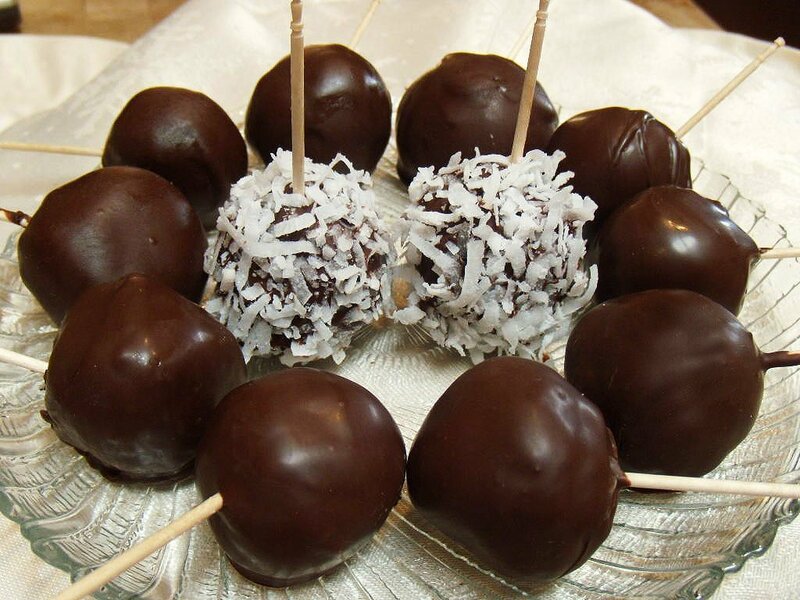 When coconut balls have hardened, dip into chocolate mixture using a toothpick or short skewer. Cool on baking sheet lined with wax paper or parchment. Refrigerate and enjoy. Before the chocolate sets up on coconut balls, roll in shredded coconut.